... on December 2, 2012, 4 months after having a baby. A true testament to how much I can accomplish when I don't have 40-hours of work sucking the life out of me every week. Pardon me for taking up space on the Internetz to toot my own horn, but I'm gonna. See, this was a major event for me. MAJOR. But I feel it was totally overshadowed by timing and circumstance (as evidenced by the fact that it has taken me 3.5 months to write about it). My husband's parents arrived that weekend to stay with us, and I had returned to work the week before. I crossed the finish line, drove through Starbucks to buy myself a celebratory latte, and arrived home to a screaming baby in need of breastfeeding and a long list of chores to tackle. Anticlimactic? Just a bit. 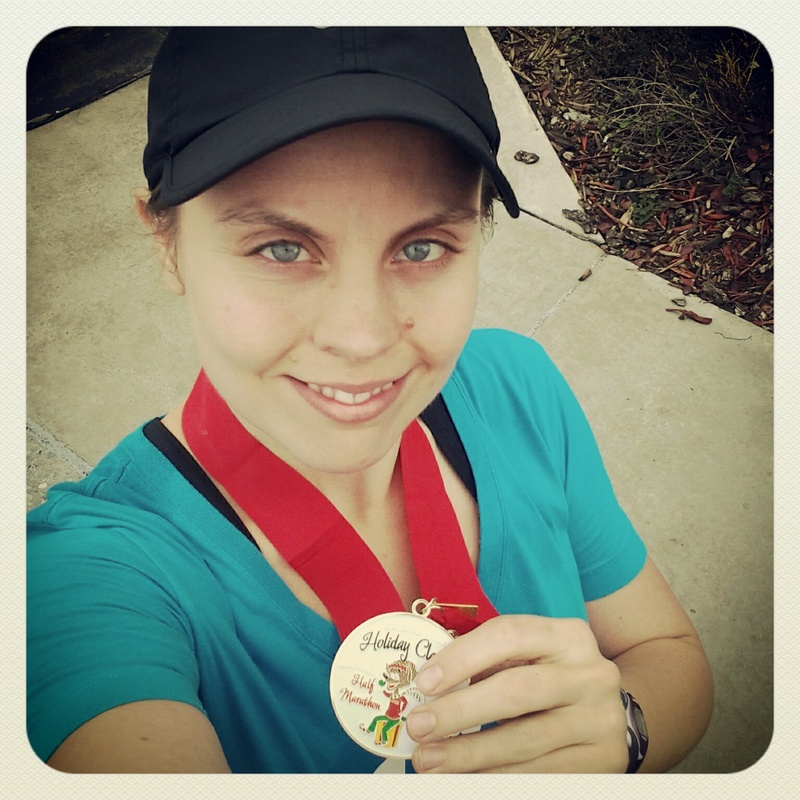 Running 13.1 miles, though, was about the most challenging, rewarding experience of my life (second only to childbirth, of course). Saturday night before the race was somewhat disastrous. We left Amaliya with her grandparents that evening and went out to my husband's office Christmas party, only to get a call at 9:30 that she had woken up screaming and refused to go back to sleep. We had to leave the party early to get home and tend to her, so by the time I got to bed it was nearly midnight. Amaliya woke up twice to comfort-nurse in the 5ish hours till my alarm went off, and consequently I arrived at the starting line on less than four hours of sleep. Not ideal. 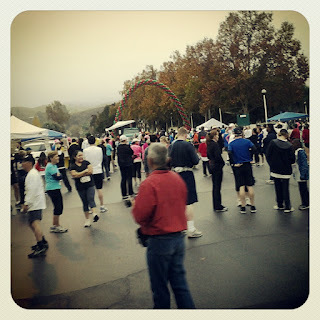 I met up with my running group and the race began. I don't really remember much of it, to be honest. Miles 1-5 are particularly blurry, since I doubt I was technically awake. After that I started to feel good! Another woman and I broke off from the group and ran ahead, since we were feeling energetic and wanted to increase the pace a bit. We ended up running the rest of the race together, talking about everything from kids to our upbringing, our husbands, sports, music, you name it. A beautiful thing happens when you spend hours running with someone - your body is so exhausted and your mind grasps desperately for some distraction, so you end up talking about things you wouldn't otherwise dream of sharing with strangers. There's a bond that forms with other runners on the road that is unlike anything I've ever experienced before, and it is part of why I love the sport so much. I fueled with two Gu gels (one caffeinated, one not) on the way, and drank Gatorade or water at every water stop. 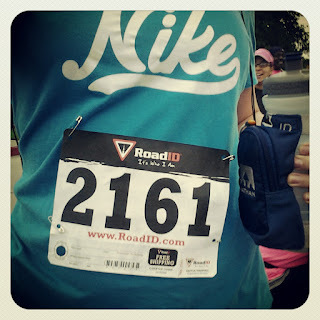 My body felt nimble, fast, amazing... nothing hurt until mile 12, but even then I could still keep running. We finished in 2:56, well ahead of our pace group. My new friend was greeted at the finish line by her husband and cheering kids. I was on my own, and more or less okay with that. Training for this half marathon was extremely personal for me. I needed to prove something to myself - that having a baby would not entirely redefine my life, that I could still be valuable as a person and not just as a mother, that the level of fitness I worked so hard to achieve was not destroyed by pregnancy and childbirth, and that I could take on the incredible challenge of adjusting to life with a new baby, taking three graduate classes, and training for a half marathon while not going totally crazy. 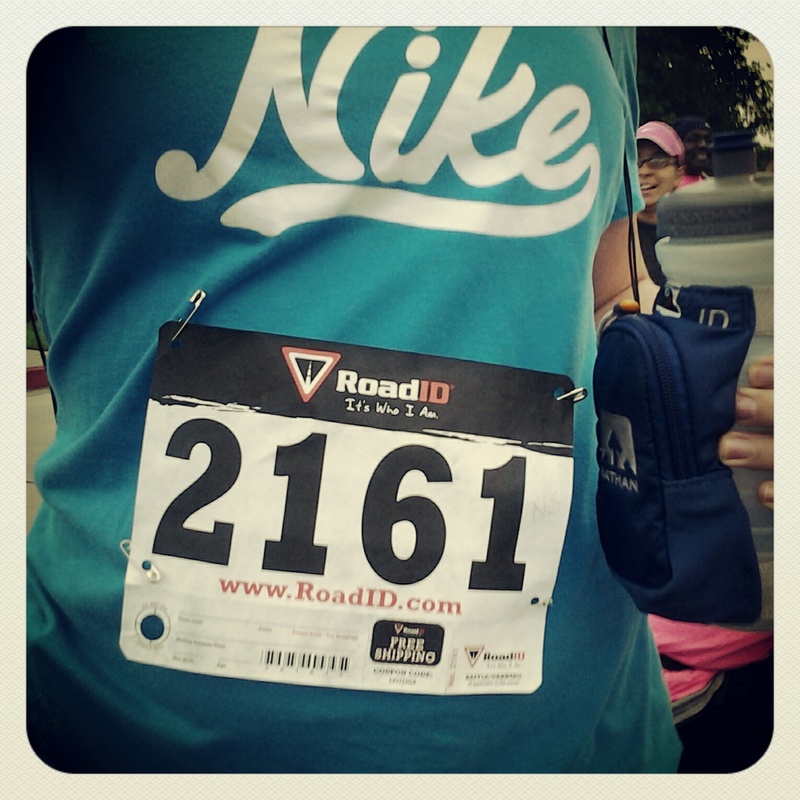 Though the race itself was amazing, training for the race was undoubtedly my salvation. 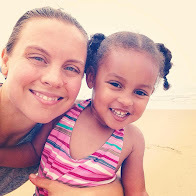 Having something to pour my energy into was vital to me during those first four months of Amaliya's life. The sleepless nights, the screaming baby, the hours and HOURS spent nursing on the couch and fighting nap wars and the upheaval of having each and every one of my personal relationships redefined by motherhood... well, I can't imagine how I would have dealt with all that if I couldn't literally run away from it. For that first four months, the only time I felt like I was really and truly MYSELF was out on the road before dawn on Sunday mornings.